Hip-hop artists pinkcaravan! (left) and Namesake (right). 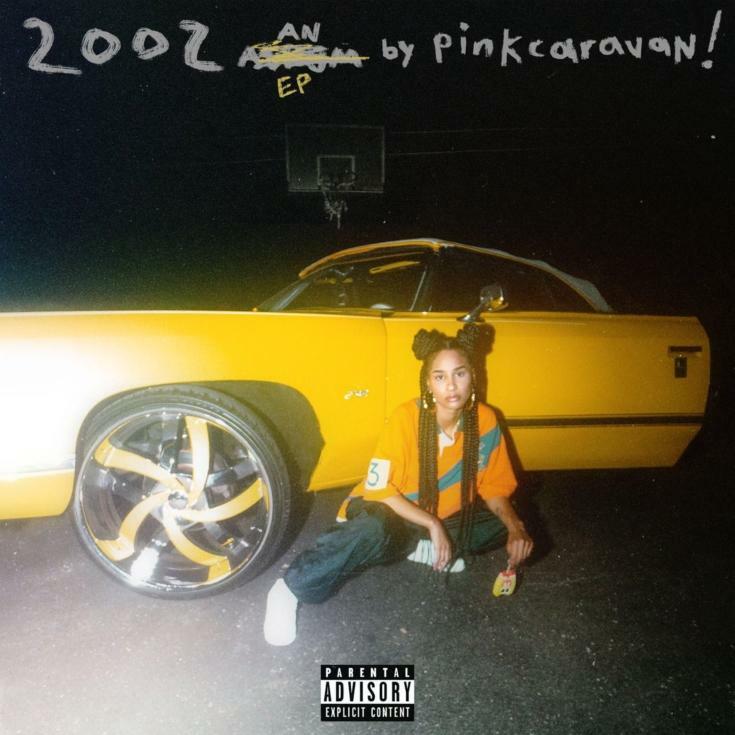 St. Louis-based rapper pinkcaravan! acquired her stage name from her first car: a Dodge Caravan gifted to her by her grandfather. The “sad-happy” musical composition her stage name embodies is beginning to become her signature as she expands her reach in the underground hip-hop scene. Her frequent collaborator, Kansas City-based producer Darron Edwards, who goes by the stage name Namesake, aids her tremendously in achieving this sound. Davidson found Edwards’ music via Soundcloud, where a track inspired by a video-game theme song caught her attention. “I need those Mario sounds,” Davidson recalled thinking when she first heard Edwards’ music. Davidson’s lyrics frequently make reference to her childhood. Though the allusions she makes to St. Louis aren’t always explicit, she said that the city always serves as a key source of inspiration for her. Davidson’s second EP, “2002,” is another collection of songs that reflect on childhood. She drew inspiration for the project from her idol Missy Elliot, whose name is the title of one of the EP’s seven songs. Album cover of pincaravan! 's second EP "2002." Edwards agreed, adding that Elliot is a “legend and a pioneer in a lot of different ways.” He also explained that one of his key inspirations as a producer has always been Timberland, a producer who collaborated frequently with Elliot. The duo also reference St. Louis rapper Nelly’s sound in their song “hot wheelz.” The last song Edwards produced for the “2002” EP became the intro to the album. Davidson added that “there’s a lot of versatile artists just not sticking to any standards” in the St. Louis region. And it doesn’t hurt that St. Louis is home to one of the nation’s five Seoul Taco franchises. Both artists are hoping to collaborate with the Korean-Mexican fusion chain in some capacity eventually. But at the very least, everyone can look forward to some Seoul Taco-oriented music from the duo in the near future.